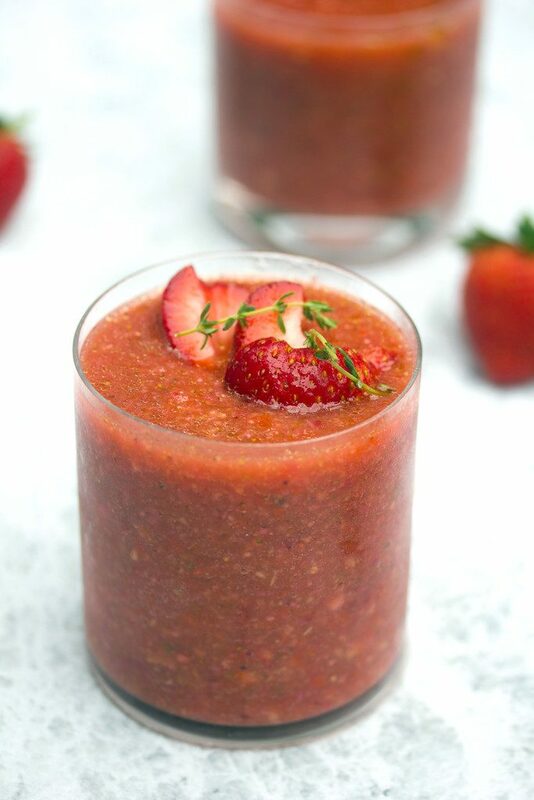 This strawberry gazpacho is the perfect summer appetizer or meal! 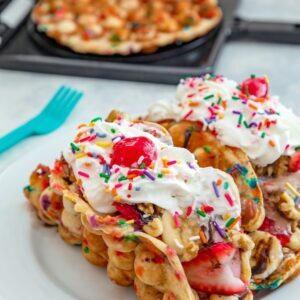 It doesn’t require a lot of time in the kitchen and the flavors and color are so perfectly summer! If there were a food Olympics, I’d totally win in the pink drink category. You know, if that were also a thing. I don’t really have speed in the kitchen and I’m not going to win any medals for flipping (burgers or otherwise). But pink drinks? I got that. In addition to my literal Starbucks Pink drink, I also recently published a post for Watermelon Rose Slushies (frosé, if you will). And now, I have for you a Strawberry Gazpacho. Basically, I just completed a triple play. 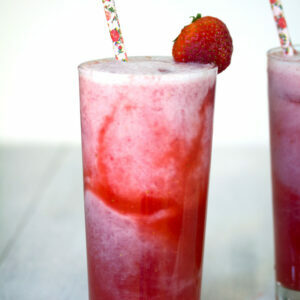 And given that there are still several weeks of summer left, I wouldn’t rule out the potential for a fourth pink drink. Watch out, now. I’m going for a quadruple. OK, so technically, this Strawberry Gazpacho isn’t actually a drink. It’s a soup. A fruit gazpacho, if you will. Or a strawberry soup! But talking about “pink liquids” didn’t sound very appealing. Also, it’s kind of more red than pink. But let’s not focus on those minor details. Let’s just concentrate on the fact that I seriously deserve a gold medal this Olympic season. I may as well be Simone Biles. Thank you and goodnight. Really though, pink is my color of the season whether that’s due to watermelon, cherries, or strawberries. We don’t have too long before orange starts taking over, so we should be taking advantage of all of these pink fruits as much as we possibly can. 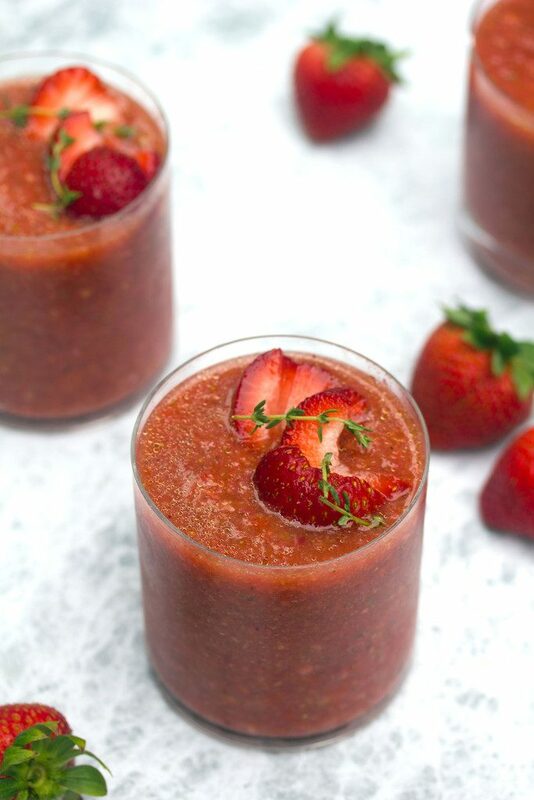 If you already happen to be a gazpacho lover, this strawberry soup will make you incredibly happy this summer and I highly encourage you to whip it up ASAP. The good news? Other than the fact that it’s delicious and pretty? 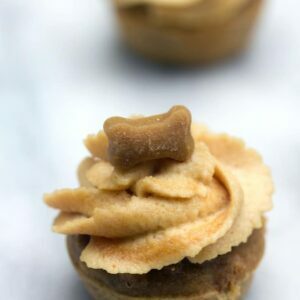 It’s super easy and quick to make, which means you won’t have to spend much time in your hot kitchen. Plus, no turning on any ovens or stoves. All you need to do is conduct a little chopping action and give your food processor some exercise. This is one I can’t take credit for on my own. I got the recipe from Cooking Light and I didn’t really alter it much because it was just absolutely perfect-sounding. At first I was thinking it was going to be a little too dessert-like. But it’s really almost like a traditional gazpacho, but with a plethora of strawberries added into the mix. So, the result is a traditional savory gazpacho that is just a little bit sweeter and that much more summery. And while most gazpachos are gorgeous, the strawberries give this one an added vibrancy that will have you wanting summer to stick around forever. And I’m basically in denial that it isn’t going to be. I mean, the Summer Olympics just started, which means summer can’t possibly be nearly over. Who’s with me on launching some sort of food Olympics in the near future? Except we can’t make money from it since the Olympics organization basically won’t let you use any words of phrases that may potentially be associated with the games for money making purposes. Probably I shouldn’t have even mentioned it in this post. But how can you be a lifestyle blogger and not mention the USA gymnastics team at least once?? Right?? For now, I’ll just award myself my own little pink drink medal, while I wait for the official committee to recognize me and sip on this strawberry gazpacho. And I’ll continue my pink fruit obsession for the next few weeks. I actually have another recipe in the works… It’s not a drink (or “liquid”), but it will hopefully be all kinds of summer pretty. Which food Olympics event would you win? Check out my Chilled Mexican Corn Bisque for another delicious summer soup recipe! 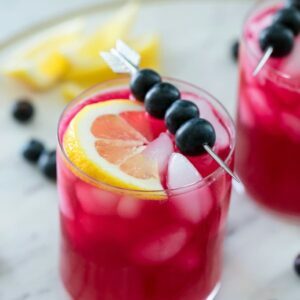 If you’re looking for more fruit gazpachos, check out my Peach Gazpacho or this Blueberry Gazpacho from Healing Tomato! 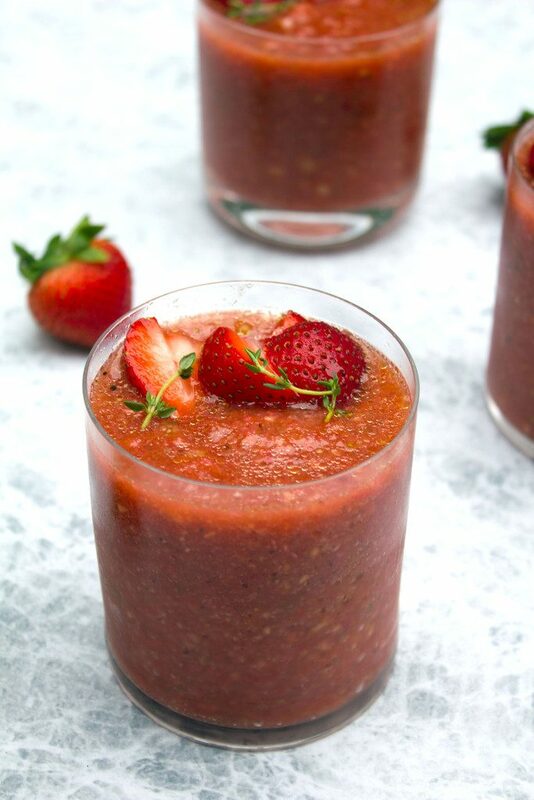 This strawberry gazpacho is the perfect summer appetizer or meal! It doesn't require a lot of time in the kitchen and the flavors and color are so perfectly summer! In the bowl of a food processor, place tomato, cucumber, and red pepper. Pulse until finely chopped, but not pureed. Transfer mixture to a large bowl. 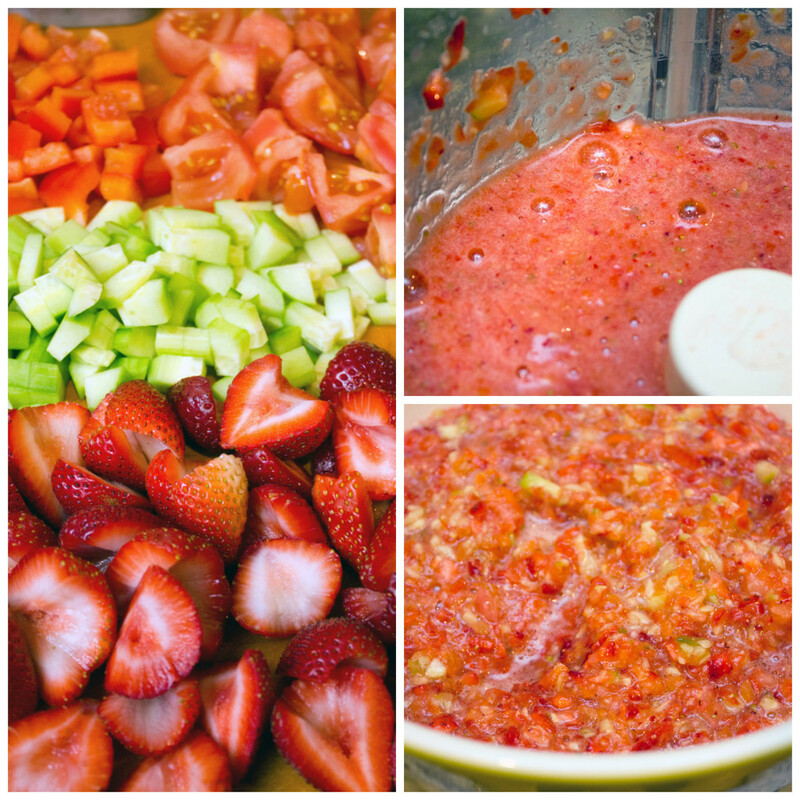 Add all strawberries to food processor and pulse until finely chopped, but not pureed. Transfer strawberries to bowl with vegetable mixture and stir to combine. Reserve one cup of mixture and return the rest of the mixture back into the food processor. Add garlic and thyme to food processor and process mixture until pureed. Return to large bowl and stir in olive oil, vinegar, salt, pepper, and reserved cup of strawberry/veggie mixture. Cover bowl with plastic wrap and chill for 4-8 hours. Stir in vegetable broth before serving. Garnish with sliced strawberries. 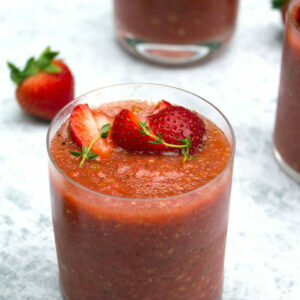 6 Responses to "Strawberry Gazpacho"
Wouldn’t that be a blast if there was food Olympics?! I can only imagine all of the categories. I think you would definitely win for this gazpacho too! I love the pretty color and flavor, Sues! I love a good gazpacho! This has summer written all over it. Hahaha, they totally should have a food Olympics, and this would definitely win for drinks, it sounds amazing. I’m with you on enjoying all the pink we can before orange arrives! Love all the goodies you packed in here! It looks so pretty and perfect for summer!